"The devotion to Mary that is so important to Catholicism and Orthodoxy is rich and complex. It can be-and has been-explored in theological, spiritual, psychological, cultural, mythological, and literary terms. No woman has been written about more; no woman has been imagined or invoked more. That's astonishing when you remember who we are talking about: a Jewish woman who lived in the backwaters of the Roman Empire two thousand years ago. A nobody, it would seem, logically speaking. Humanly speaking." 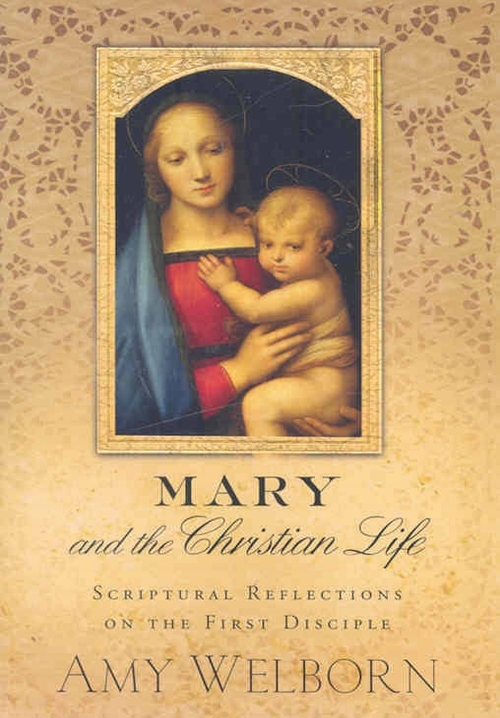 "Mary and the Christian Life is simply an exploration of what the title implies. As disciples of Jesus, we all are committed to deepening that relationship every day we're on earth. We seek to open ourselves more completely to whatever it is Jesus would have us do here, to live so that it is no longer myself but Christ who lives in me for the sake of the world-the whole world. That's the Christian life (Galatians 2:19-20)." And one of the ways we can achieve that is through Mary. "Mary can help us on that journey. Like all the saints, she can help us through her example and through her prayers. But of course she is not like any other saint in one important way: the way she is related to Jesus. She is his mother. She carried him in her womb, cared for him as her baby, child, and adult son, and as his mother, watched him die and cared for his dead body-the same body she had borne within her." And because of that unique relationship she has with Jesus, we can have a unique relationship to Jesus through her. "It might be more helpful and more true to the reality of how the Christian faith came to us and developed over the millennia if we tried to shift our paradigms. Devotion to Mary in Christianity was not imposed from above by religious authorities. There were no commissions that planned out the structure of the rosary and then forced the unwilling to recite it. (Devotions to Mary that developed over the centuries are described at the end of each chapter.) This woman's presence as such a favorite companion on the Christian journey wasn't mandated or legislated." "Instead of seeing Mary, on the one hand, as a set of doctrines and on the other, as a set of interesting devotional practices, perhaps we could see her as she is: a gift from the God who knows our limitations, our dilemmas, and our fears. A God who chooses to be conceived within the womb of a woman whose presence, response, words, and actions can help us live out the concrete reality of faith in the One she so concretely bore within her womb, and followed with her eyes and heart the rest of his earthly life." 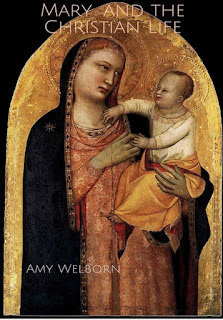 Welborn draws from Church history, the writings of the saints and hew=r own research and experience to present to us Mary. The book is part history, it is also part prayer book. One of my favorite chapters is the 'Our lady of …' I loved it and would love to see Welborn wrote whole books on each of the examples presented. This book was an excellent read. It is one I will read again, and as my children get older share with them. No matter what your stance on Mary's role in history or devotional life this book will be a read that will open your eyes and stir your spirit. A wonderful read!